Customized solutions to facilitate Population Health, Case Management, Care Coordination and Patient Engagement activities. Do you have a Customer Relationship Management (CRM) technology platform supporting your Population Health and Care Coordination activities? 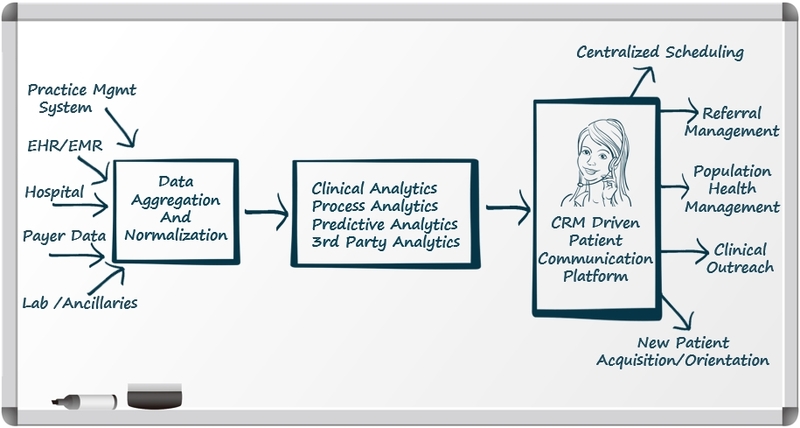 PEC360’s Customer Relationship Management (CRM) technology platform positions healthcare organizations to succeed in today’s consumer-driven healthcare environment by customizing workflows that operationalize healthcare data and analytics. PEC360’s CRM technology supports the processes needed to retain, manage and motivate patients to seek the healthcare they need. that turns aggregated data into actionable intelligence by identifying patients with “Gaps in Care”. Utilize PEC360’s CRM driven Patient Relationship Management platform to proactively engage patients with healthcare needs.